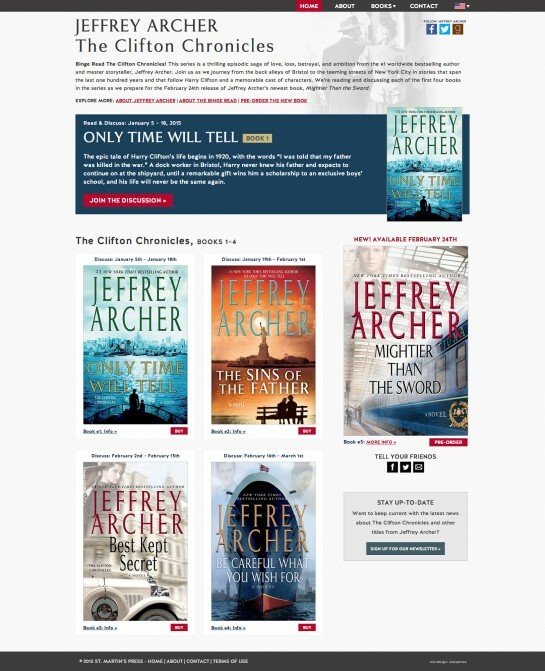 We designed and built The Clifton Chronicles Binge Read site for St. Martin's Press to promote the latest book in the series by author Jeffrey Archer. The site encourages readers to participate in discussion around each book in the series, as the binge read progresses over 10 weeks. International visitors to the site see different book covers and buy links depending on their location. We created custom code to integrate automatic geolocation with user interaction via country flags to control which content displays on the site.